Microservices are awesome! But they also bring their own problems with them. How to solve service discovery? How does distribution of tasks work between them? Distributed Hashtables are an efficient solution to these problems. In Grenache, we use Kademlia. Kademlia is also used in BitTorrent for Peer-to-Peer Networking. Today, we want to take a look at how we can use Grenache to create a microservice setup in less than 80 lines of code. Everyone knows that Node.js is bad with CPU intensive tasks, as they block our server. In our tutorial, we will create a Fibonacci number service that our other Node.js services can use. 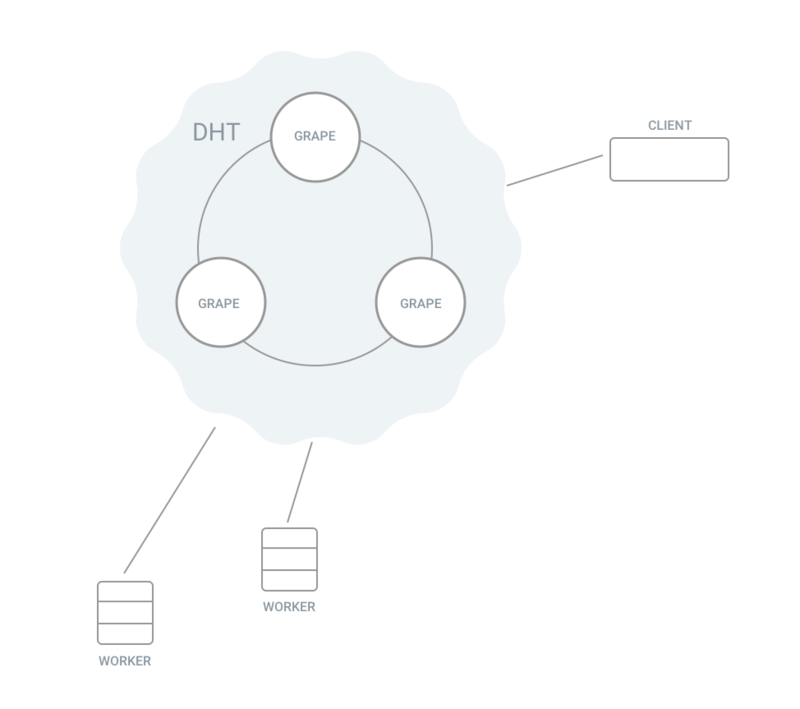 In Grenache, a package called Grape manages our Distributed Hash Table. 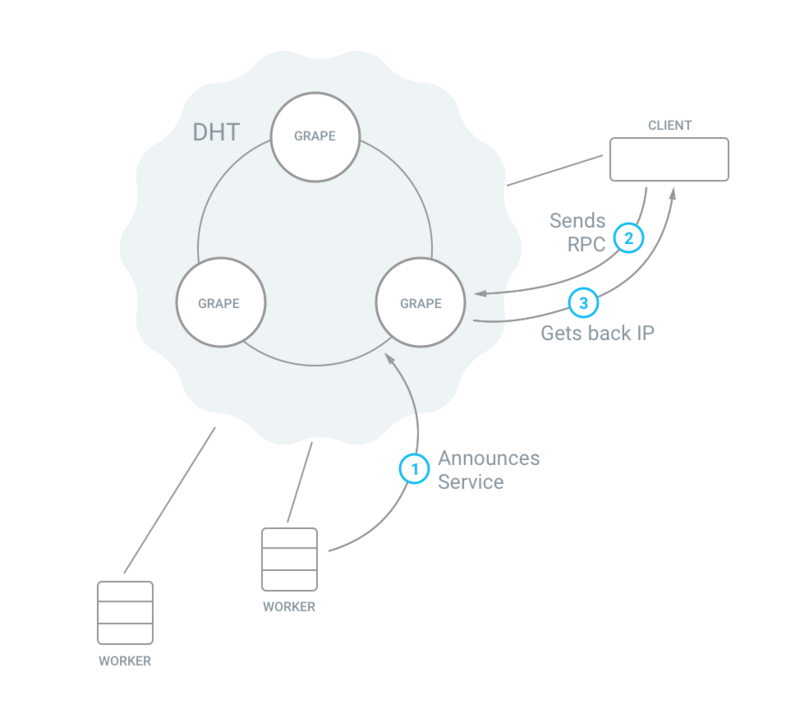 Grape stores the IP and port of each participant in our overlay network. Each participant can announce something under a given name. That’s handy to find remote peers on the network that offer something for us. Within a Grenache network, connected peers can interact in different ways with each other. They can store and retrieve data in the DHT. They can also work in a Pub/Sub pattern. Or they can work in RPC mode with different workers and clients. The peers send a payload to the worker containing the desired length of our Fibonacci sequence. Now we want to know the 10th number in the Fibonacci sequence. Once our link has a connection, we fire our request. Behind the scenes, Grenache looks up which workers have registered as fibonacci_worker. It then establishes a connection with one of them. 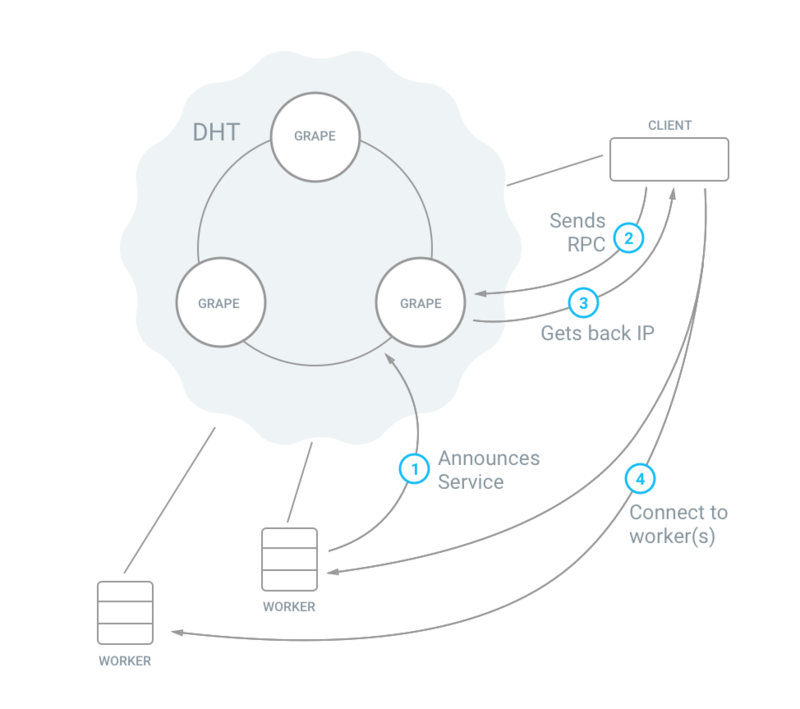 In case we want to distribute larger tasks to a set of workers, we can use peer.map. … Et voíla! We get an answer from our service. What happened? The client peer asks Grape which clients in our network announce as fibonacci_worker. Our RPC is sent to the remote worker right after we have the address. We hope you enjoyed this quick example. We’ve built a small peer network with microservices. Bitfinex uses Grenache in production. There are Ruby and Node.js implementations available. We are happy to receive any feedback and contributions.